Dental treatment is an excellent investment for your physical health and psychological wellbeing. Financial considerations should not be a deterrent in maintaining your overall health. We share your concern with treatment costs and strive to offer you several financing options that provide affordability and greater access to quality dental care. ·We accept most major credit cards including Visa, MasterCard, Discover, and American Express. We also accept cash and checks. ·We are pleased to offer Care Credit as a third party financial option. This will allow patients to have interest free and low interest extended payment plans. Our office can assist patients with the application and approval process. ·If you have dental insurance we file claims as a courtesy for our patients. Insurance plans typically do not cover dental care at 100% therefore we provide several financial options to assist with treatment costs. 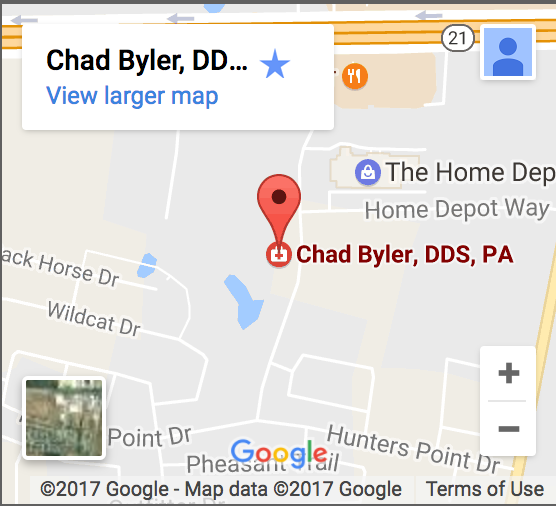 Dr. Byler is pleased to offer an in-office dental discount plan for patients who do not have dental insurance coverage. This is a dental discount plan offered at our office, it is not dental insurance. It provides greater access to quality dental care and offers benefits usually found only in high priced insurance plans. You will receive optimal comprehensive dental care at substantially reduced rates with our optional dental membership plan. Call/Text (512) 308-9860 or email (info@chadbyler.com) our office today for more information!